Chitika Insights has today published its web traffic report for the month of June, according to which Apple’s iPad continues to lead with a significant margin by accounting for 84.3% of all U.S. and Canadian tablet web use. 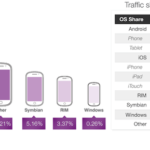 The numbers also mark iPad’s highest share of tablet web use so far this year. Amazon’s Kindle Fire and Samsung’s Galaxy tablets are the No. 2 and No. 3 tablets for web use during the month. “To determine the distribution of Web usage among tablet devices for the month of June 2013, Chitika Insights sampled tens of millions of U.S. and Canadian tablet online ad impressions running through the Chitika Ad Network. 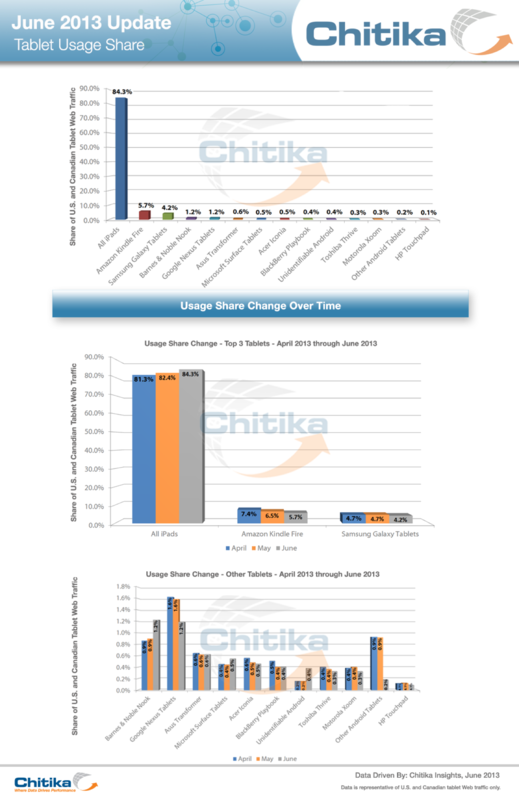 The data used within the most recent analysis was drawn across the time frame of June 15 to June 21, 2013, and data for previous months was collected from Chitika Insights’ April and May tablet market share reports, respectively”. Apple’s tablet web traffic share has grown slightly from 82.4% in May and 81.3% in April. Meanwhile, Amazon’s Kindle ihas dropped from a high of 7.4% to 5.7% while Samsung continues to drop from 4.7% to 4.2%. Take a look at the following graphs for a better idea. Do you think Amazon and Samsung will be able to catch up with iPad’s growth any time soon?